Innsbruck, watch out! Something rad is on its way! Everyone in Innsbruck knows about the free ski bus service to the Axamer Lizum. What’s more, the Axamer Lizum can easily be reached by car from all directions as well! 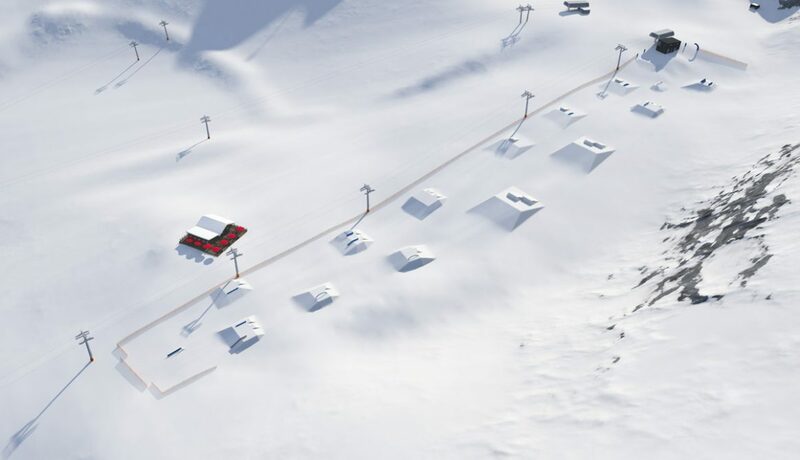 With the start of the season of 2016/17, the shuttle or car will not only take you to the Olympic freeride hotspot but also to the new freestyle “place to be”: the Golden Roofpark Axamer Lizum! Kickers in various dimensions with tables of up to 13 meters (42.7ft), rails and boxes in varying forms and sizes, tanks, jersey barriers, wallride spines and industry trannyfinders: The new snowpark right above Innsbruck with its different lines and great diversity will soon become the new home base for all freeskiers of the region. Even in its very first season the creative setup will be captivating and can already be viewed on the park’s website. What’s the fastest way to get to the Golden Roofpark? Take the Olympia cable car or the Schönboden chair lift and head over to the Karleiten chair lift. Once you are there, the shred fun is about to begin. While you may start off in the beginner line, your second run might already take place in the medium area. Advanced riders can look forward to just a 5-minute gap between runs – thanks to the convenient park lift. Oh, and no worries, there will definitely be time to chill. The Sunnalm mountain hut is located at the lower section of the park and provides a great view over the entire park area. Check out what it looks like in the animated video below. Innsbruck’s freeski scene cannot wait for the winter to come and is looking forward to training in the new park: “I’m really excited about the new Axamer Lizum park. 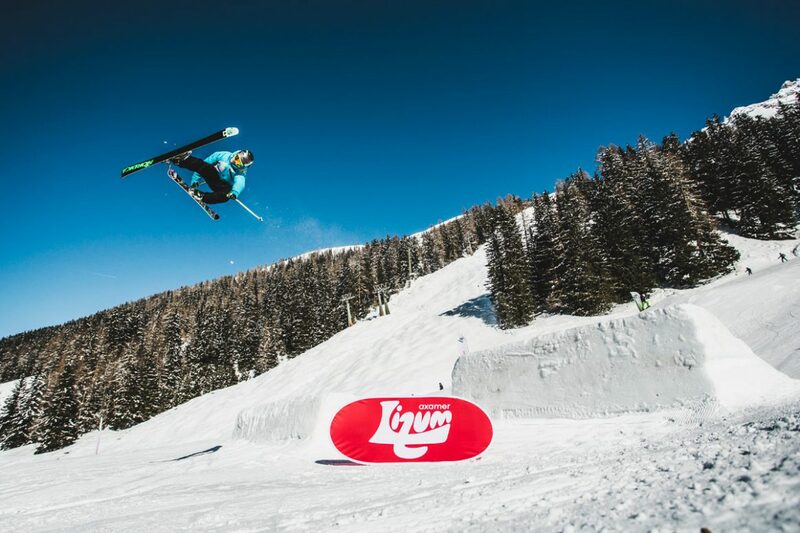 It’s definitely good to have some diversity as there aren’t many other options around Innsbruck”, says Manuel Gander from the Tyrolean squad who can totally see himself training at Golden Roofpark Axamer Lizum. Will there be awesome events at the Golden Roofpark? You bet! On January 29, 2017 the “next generation” can test the fresh obstacles in the park. 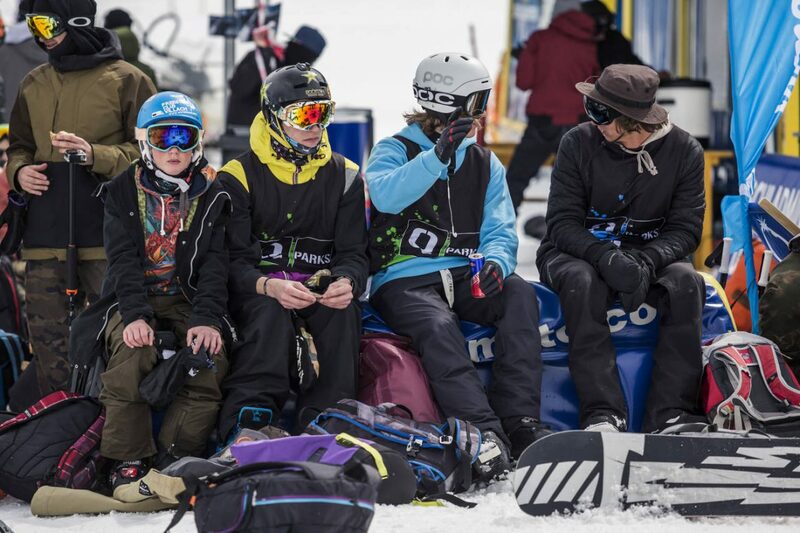 At the SNOWHOW Kids’ Day pro riders will introduce the young ones to the new snowpark. One month later it’s all about “Gold & Glory” – when the Golden Roofpark Axamer Lizum gets its very first QParks Tour Stop. On February 25, 2017 Europe’s best amateur freeskiers will show off their shredability at the Golden Roofpark. The perfect season is ready to kick off! Information about when it all begins and what else is happening will be posted directly by the Golden Roofpark shape crew on Facebook. 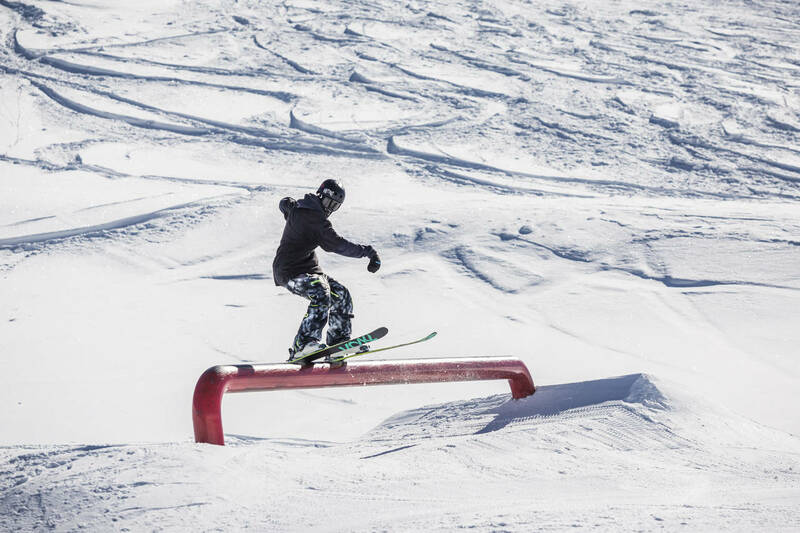 To a snowy first season at #goldenroofpark Axamer Lizum and legendary shred sessions!